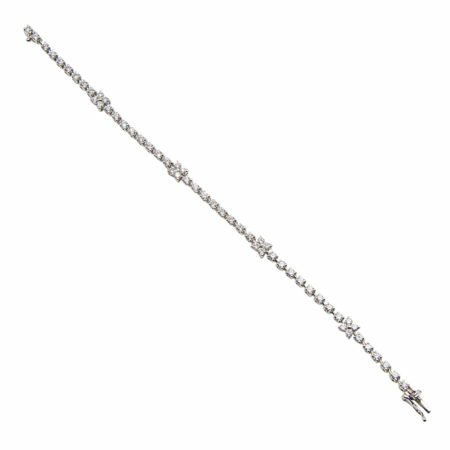 This diamond bracelet is a dazzling example of simple elegance. 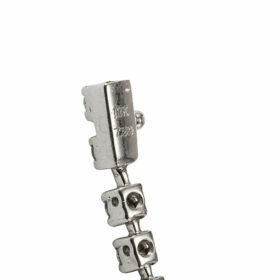 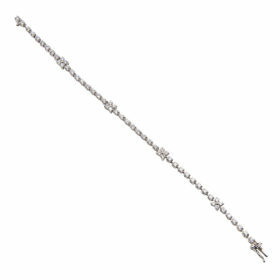 Set in 18K white gold the bracelet is comprised of 55 diamonds, totaling 1.65 carats. 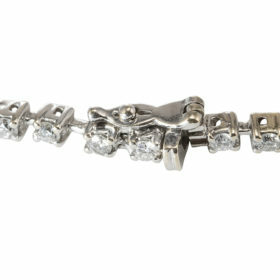 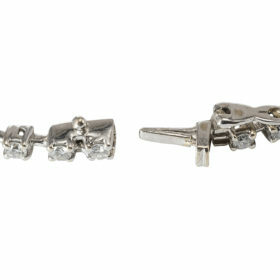 Adding the bracelet’s charm are 4 flower accents set with diamonds.